A lovely arranged patio with plants and trees separates the simple and cosy Holiday House from the landlady's residence. 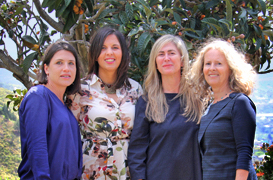 The landlady makes every effort to have her guests feel comfortable and also shares vegetables and fruits from her spacious garden. 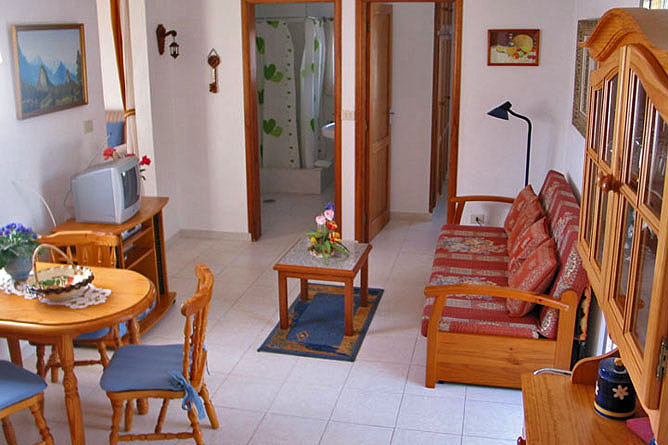 It is perfectly suited for 2 persons and also offers space for up to 4 persons. One bedroom has a Canary wood gabled roof. 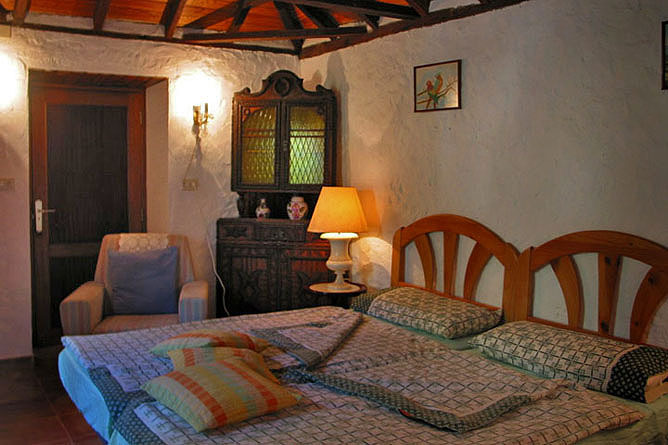 Both bedrooms are furnished with 2 single beds. The small shared bathroom has a shower and a toilet. 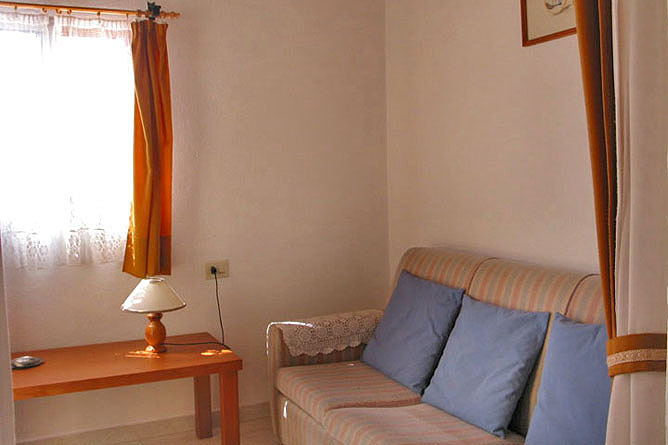 An additional room with a couch is a nice place for relaxing or reading. The combined living-dining area features a small fitted kitchenette. 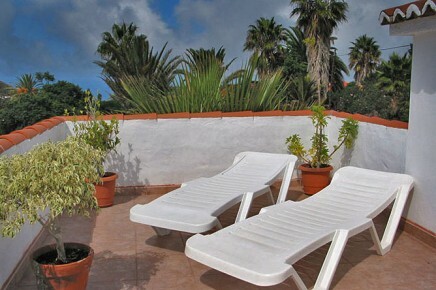 Depending on your preferences and mood you can make yourself comfortable on one of the 3 terraces. The two south facing terraces are not visible form outside and are furnished with a sitting group and loungers. 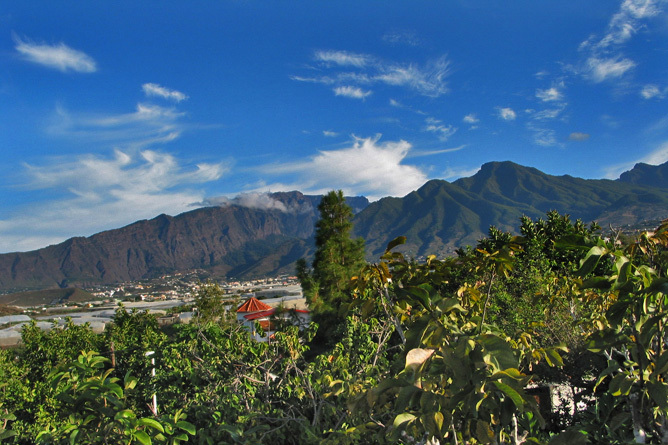 You enjoy a view of the volcanic mountain Todoque, the farming area, banana plantations and the water reservoir. 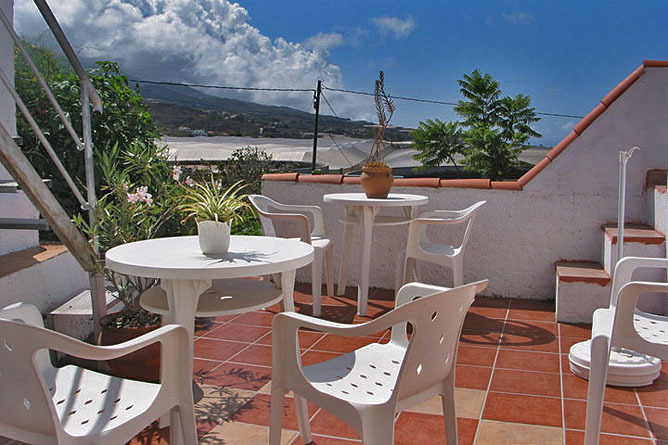 A gorgeous sea view is provided by the spacious roof terrace, which is accessible from one of the other terraces. 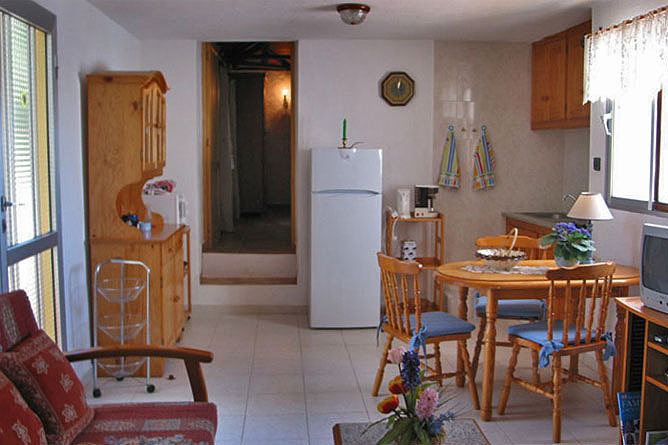 small kitchenette with 2-burner electric cooker, fridge-freezer, coffee machine, water boiler, toaster, microwave oven, table grill and plenty of crockery and pans. 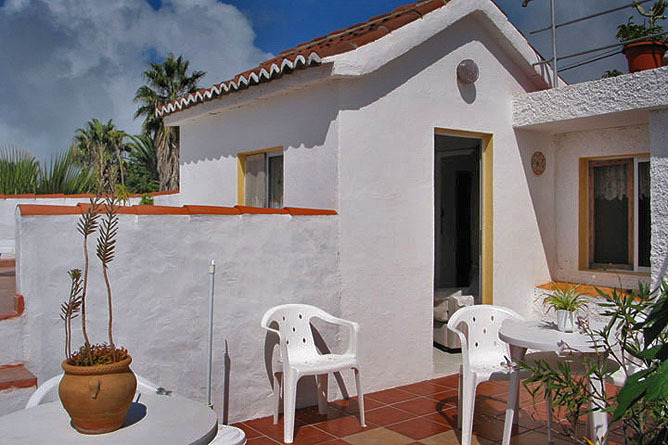 The Holiday House Vista Todoque is located on the sunny west side in a temperate climate zone at 220 meters above sea level. 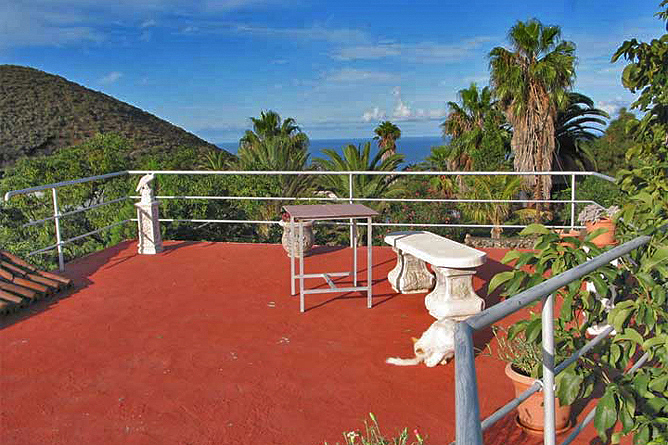 Los Llanos and the sandy beach of Puerto Naos are within a 10 minute's driving distance. The bathing beach in Tazacorte is only 10 km from Vista Todoque. In Todoque you find a well sorted supermarket with a selection of meat and cheese, bread, fruits and vegetables. There is also a butcher's shop as well as some restaurants and bars. From Todoque busses depart to Puerto Naos and Los Llanos every 20-30 minutes. 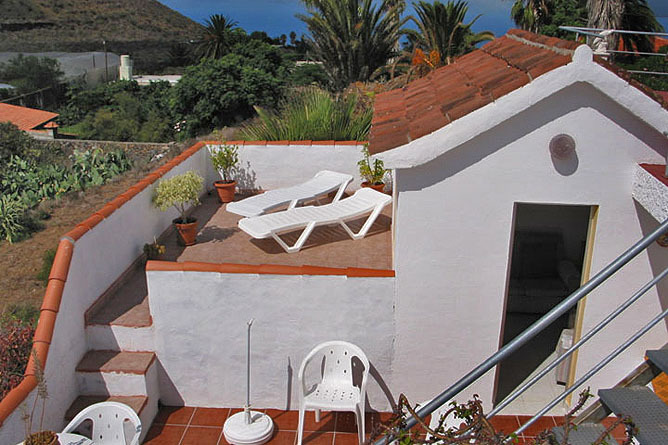 Authentic Holiday House with Roof Terrace in Temperate Climate Zone.